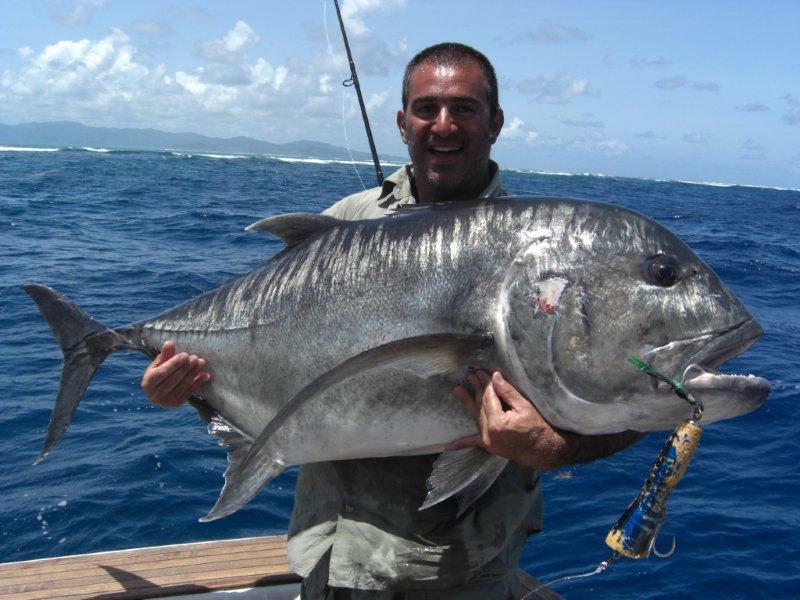 Specialist long range fishing targeting the biggest GTs on the outer barrier reef breakers and long range remote deepwater jigging for trophy sized Dogtooth Tuna. 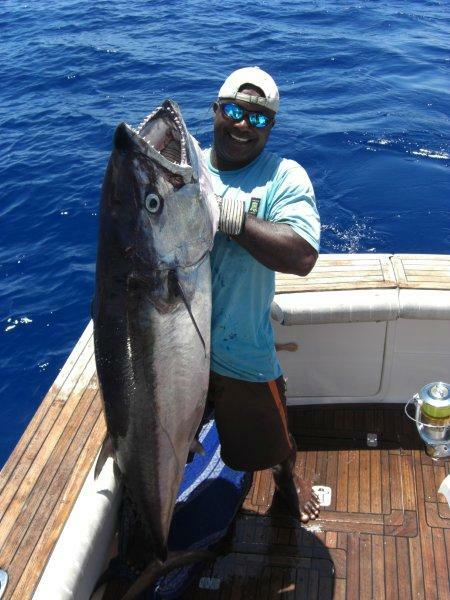 This is a GT or Dogtooth Tuna hunter’s dream fishing holiday. 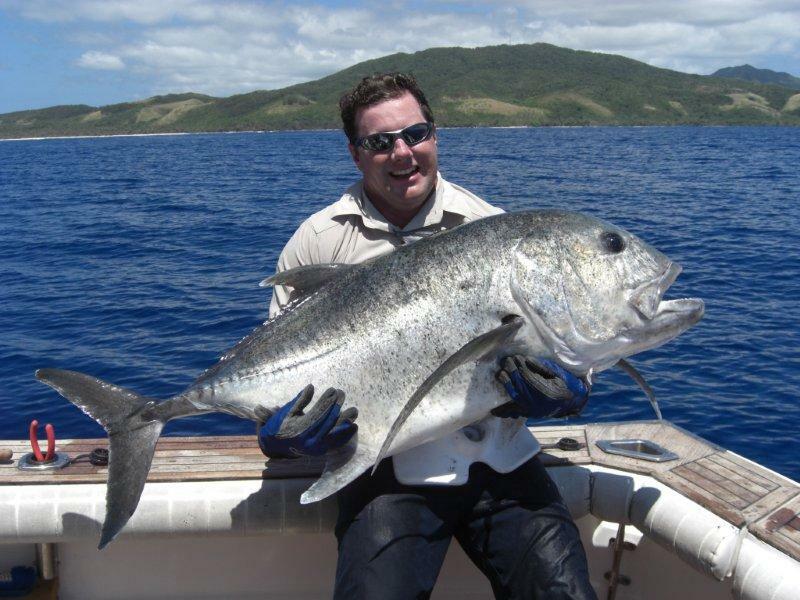 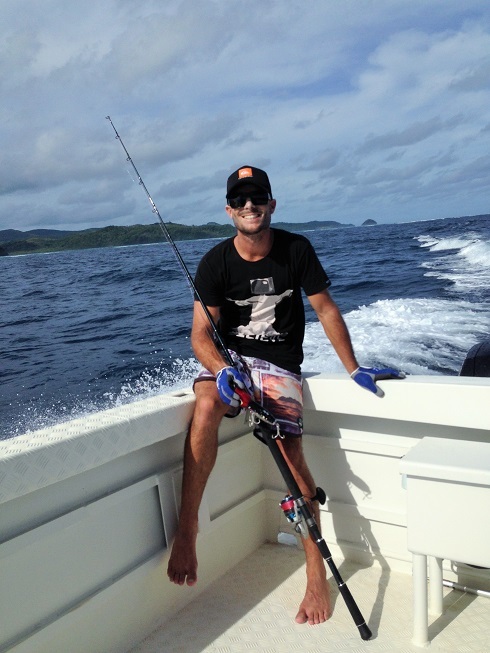 Be the first to search and cast poppers to 75 miles of Kadavu island’s remote, unexplored Great Astrolabe barrier reef . 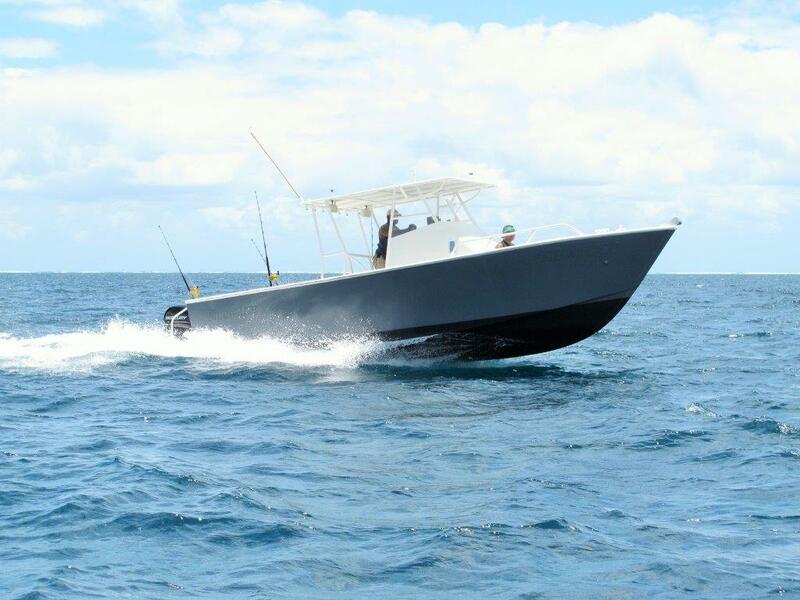 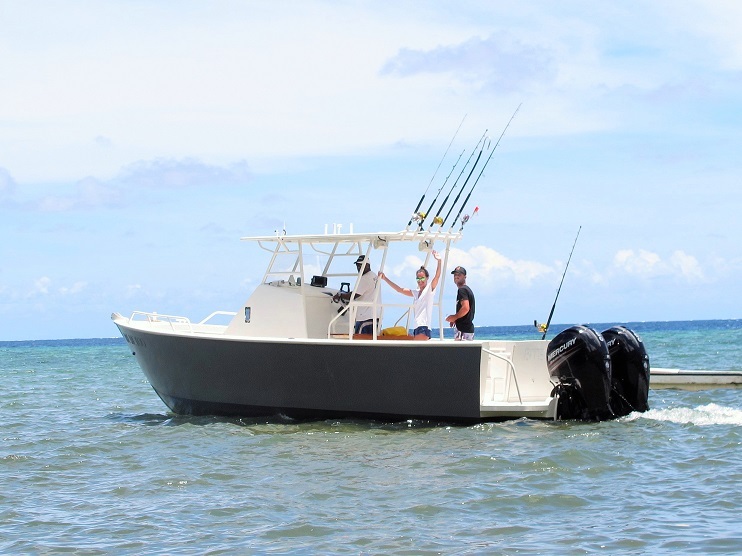 Fish barrier reef breakers and reef systems never before seen or fished by anglers from our comfortable long range gamefishing vessel ‘‘Bite Me Too”. 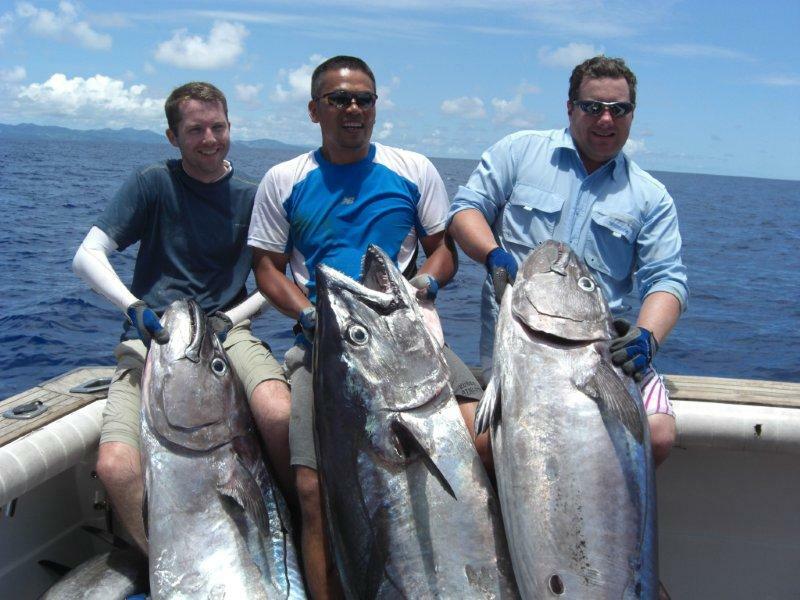 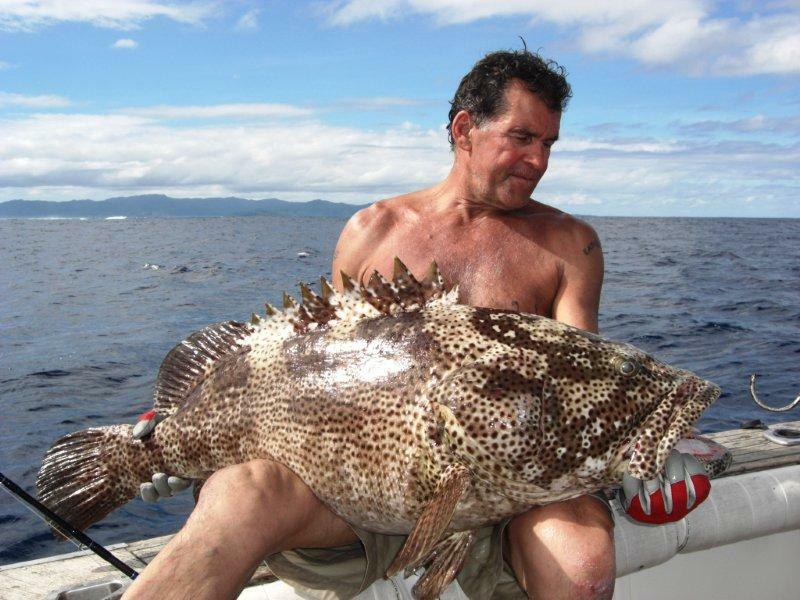 Explore remote coral atolls and drop jigs on the Kadavu seamount for monster Grouper, Dogtooth Tuna and Almaco jacks. 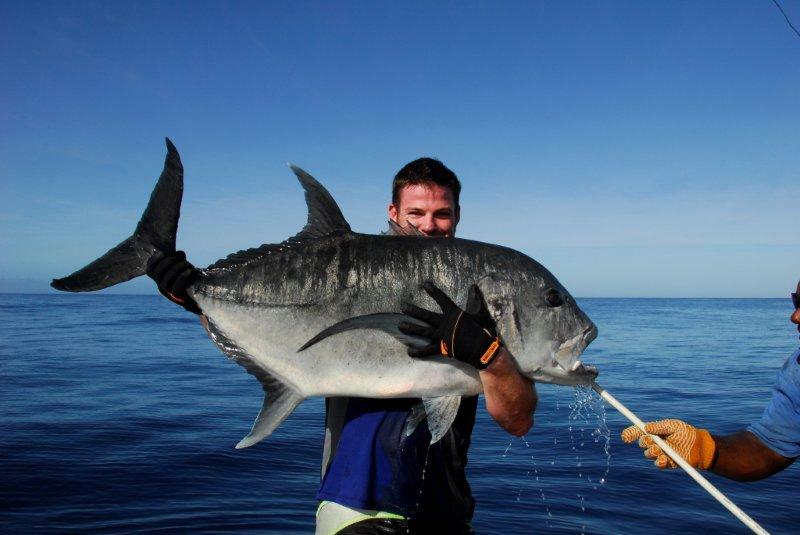 Packages can be combined with any current accommodation Specials !